In so many ways 2013 was a very busy year. For instance, to compile the 5 Best Top Coats, 5 Best Cuticle Creams and our other product lists we had to test drive hundreds of products. 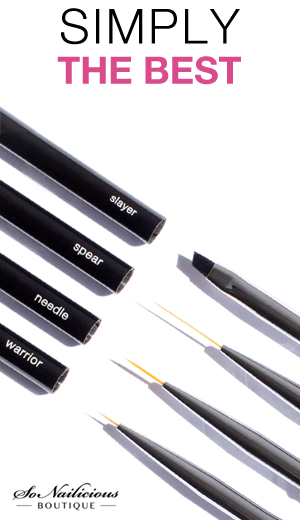 Some were great, some were ok and others so effective they’ve become our personal favorites. Lush Lemony Flutter Cuticle Butter: This extra rich cuticle butter smoothes the driest of the dry skin. It’s so rich that we recommend using it at night to make sure it absorbs completely. Get it here. Essie Grow Stronger: Long and strong nails just after 6 weeks of using this product. Big respect to products that really work and we’ll be holding on to this one. Get it here. Sally Hansen Insta Dri Speed Dry Drops: When top coat takes too long to dry, Sally Hansen Insta Dry Drops comes to the rescue. Just run a couple of drops over each nail (over top coat) and you’re set to go. Get it here. Essie Ridge Filling Base: The ideal product for getting picture perfect smooth manicures. Try it and watch how uneven nails with ridges transform into an almost mirror like smooth surface. Get it here. Bio Sculpture Cuticle Cream: Smoothes dry cuticles instantly without leaving any greasiness making this cuticle cream our best friend during nail art photo shoots. Sold exclusively via Bio Sculpture salons. Clarins New Age-Control Hand Lotion: Excellent moisturizing qualities, not sticky and protects hands from the harsh Australian sun. In fact it makes them look younger. So far no other hand cream we tried could beat it’s anti-ageing qualities. Get it here. 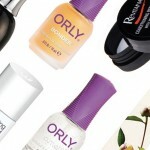 ORLY Nailtrition: It was the first product that made us to change our mind about nail strengtheners and actually proved that some of them do work! You just need to find the right one for your nails. For our dry nails, Nailtrition is perfect! Get it here. Essie Good To Go: Out of all top coats we’ve tried this year this one is by far our favorite. Fast drying, glossy and makes manicures last longer, this Essie top coat has never failed to deliver! Get it here. 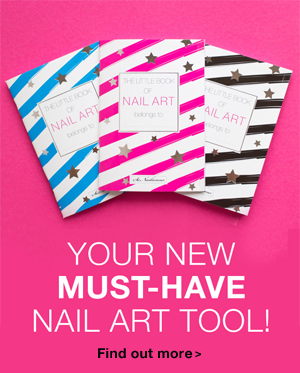 What new amazing nail care products have you discovered during 2013? What nail care products have you been loving?